This year started with the new stage of the Democracies in Transition with V4 Experience project supported by the International Visegrad Fund. It is a three-year project for 2014-2017 academic years. The project involves special course for the political science students, where the democratic transformation and European integration processes at V4 countries (the Republic of Poland, the Czech Republic, Hungary and the Slovak Republic) are covered and outlined. From the 27-th to the 29-th of March guest lecturer from the University of Alexander Dubček in Trenčíin, Slovakia and Philosopheae Doctor (Ph.D.) from Slovakia Getnet Tamene visited Petro Mohyla Black Sea National University in order to give two lectures “The Threat Logic and the Transatlantic Alliance in Global Politics: The V4 Connection” and “Lessons From the Slovak Republic’s Democratic Experience Within the V4”. He is the University lecturer in the fields of International Relations, Political Science, Public International Law, and African political studies. 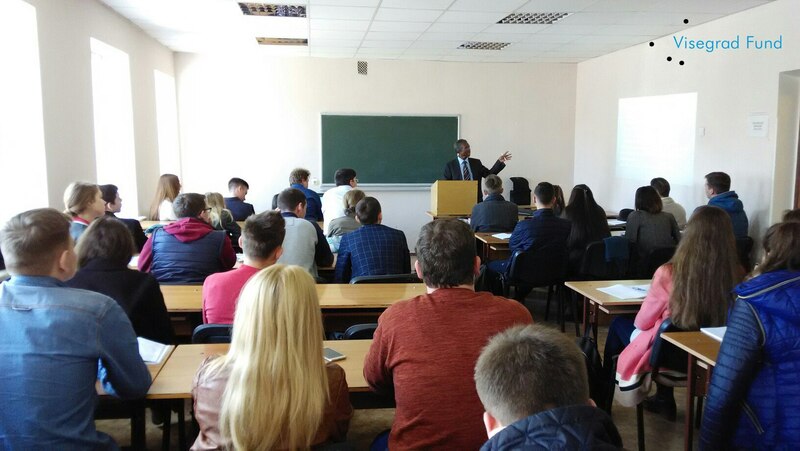 Getnet Tamene told the students information about evolution of threats in accordance with the changes of modern world and the changes in The NATO activity and its V4 members in order to react to the modern threats correspondingly. 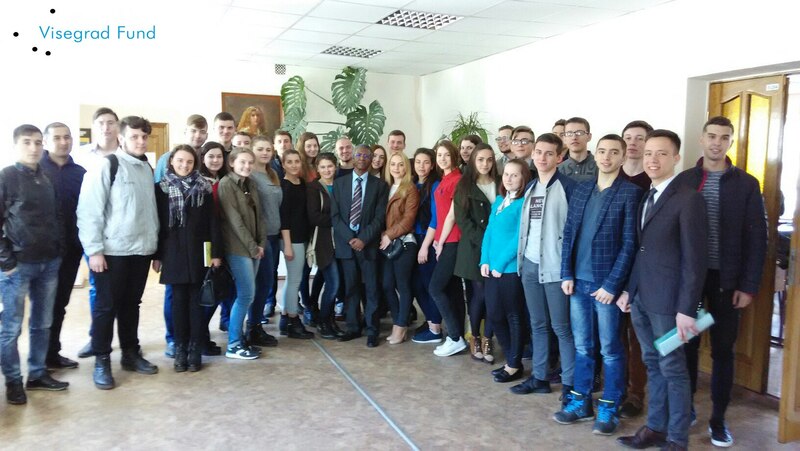 Students got really interested with this subject because of Ukrainian interests and perspectives of participation in the Organization. Second lecture was also interesting, because the Slovak Republic has come the same way of democratic transformations that Ukraine is doing at the moment. It is really important to know as much as possible about other countries experience in effective reformation. 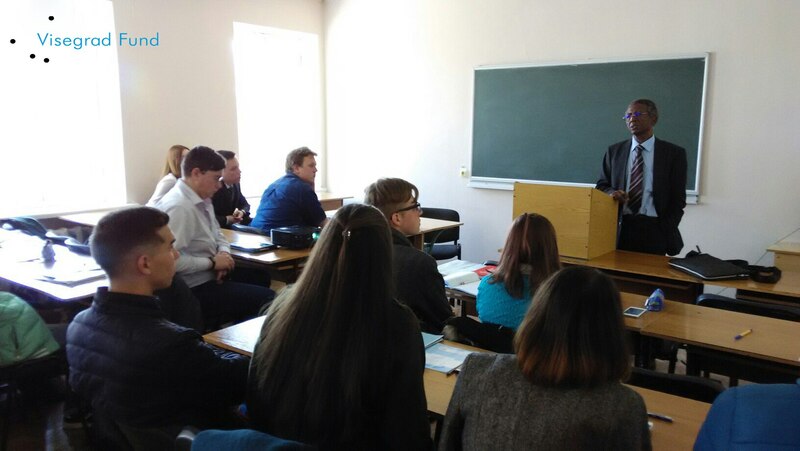 The biggest attention was attracted by the student’s question whether Ukraine should take as example the experience of Slovakia. 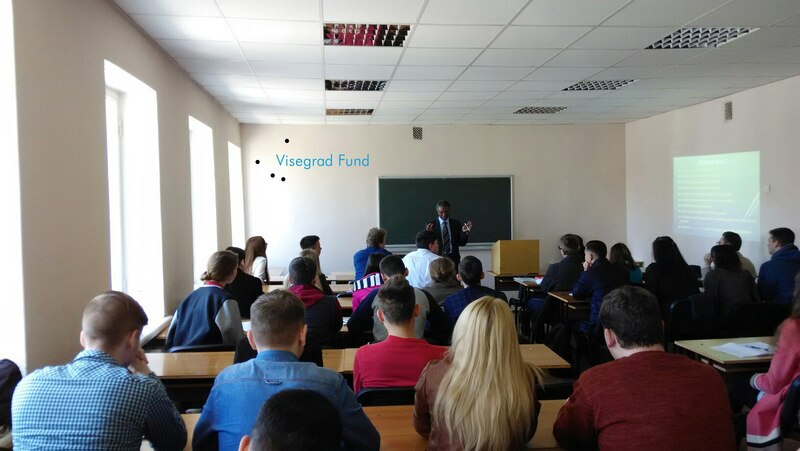 Our guest lecturer said that everything depends on the country’s will to take up reforms. Also Getnet Tamene told his own opinion to the political situation in Ukraine and Slovak stance on the problem on sanctions applied on Russia. 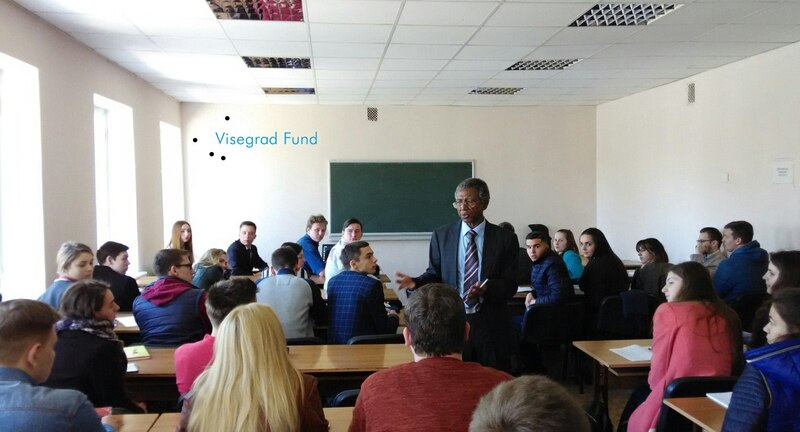 Our project gives opportunity to the students to get acquainted with the V4 countries experience, to enrich student and academic mobility and to take over the experience of foreign lecturers. 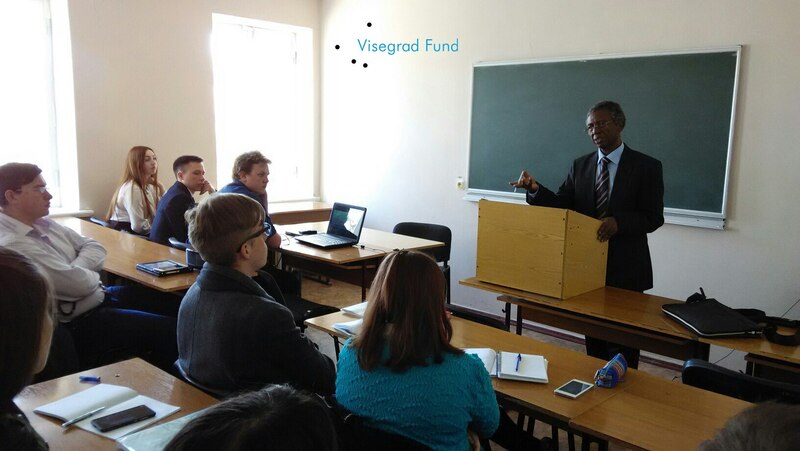 Besides this International Visegrad Fund project, the Petro Mohyla Black Sea National University develops and fulfills huge amount of projects in cooperation with international funds and foreign university-partners.